← HOW DO YOU DETERMINE THE DIFFERENCE BETWEEN A TAX AND FEE? You know that red like camera cases have attracted the attention of the court when the 56-page opinion in Brunner vs. City of Arnold, starts with a statement that ”…we take another hike through a legal, unfortunately, political minefield” citing a list of five decisions on red light camera cases decided mostly within the last year several of which have been in the last several months. Since Edwards v. City of Ellisville was decided in early November of 2013 we have had two more red light camera cases bringing the total to seven cases plus there is another one in the Court of Appeals pipeline. Each case has somewhat different facts and varying results on different issues. Someone is going to have a lot of fun sorting out the distinctions and issues between these cases. With potentially millions of dollars at stake, looming class actions, and a multiplicity of thorny legal issues it was recently reported in Lawyers Weekly that Judge Wolff, former Missouri Supreme Court Justice, now Dean of the St. Louis University Law School has been hired by ATS to help the Missouri Supreme Court sort this out. In Damon v. Kansas City decided November 26, 2013 the Court of Appeals for the Western District entered the fray for the first time. In Damon the Kansas City (City) red light camera ordinance (Ordinance) prohibited a vehicle from being driven into an intersection controlled by a traffic control signal at which an automated traffic control system is installed while the traffic control signal facing the vehicle displays a steady red signal, including a steady red arrow. The Ordinance and notices of violation state that no points will be assessed against the defendant’s license for a violation of the Ordinance. Since the KC Ordinance clearly described a state law moving violation (running a red light) and prohibited the assessment of points, which is required by state law the Ordinance was in conflict with state law and was void and unenforceable. Complicating the issues for ATS is an opinion from outside legal counsel to ATS set forth in the pleadings that any ordinance adopted by a city which “…circumvents the Director of Revenue’s point system for suspension and revocation of motor vehicle licenses without legislative authorization to do so” would conflict with state law. 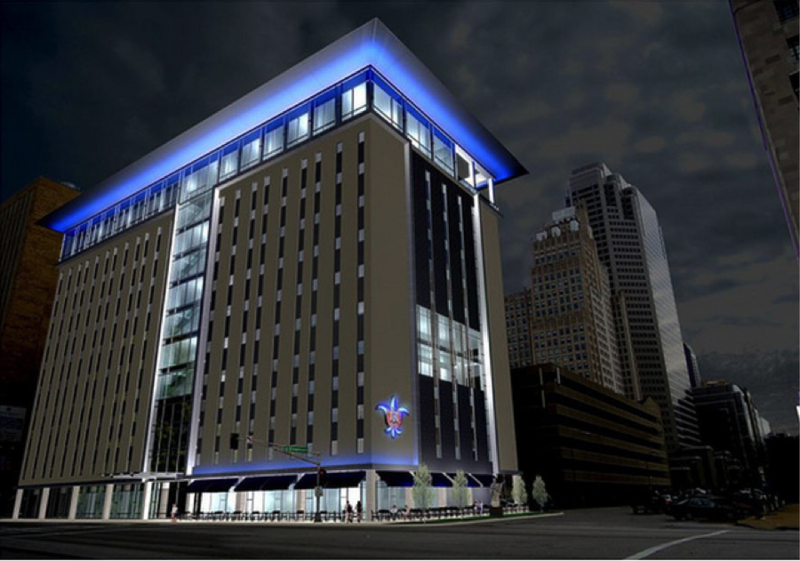 In addition, the pleadings alleged extensive involvement of ATC in the process to determine who would be charged with a violation of the KC Ordinance and a confusing and somewhat contradictory process for responding to the charge. Therefore, based on these allegations the Western District found that the Damon could challenge the ordinance even though he had paid the fine and that he could serve as a representative of a class to obtain refunds for fines that had been paid because there was no waiver or estoppel due to the confusing and contradictory notice. Similarly, Olinetchouk another plaintiff in the case, had standing to bring a declaratory judgment even though he had not paid a fine nor taken any action before the municipal court to challenge the Ordinance and could serve as a representative of a class similarly situated. In addition, the court seriously questioned the use of the rebuttable presumption making it clear that if the trial court found that the Ordinance was criminal in nature it was invalid. The Court also seriously questioned the role of ATC in the process to determine who would be charged and where to pay the fine. In Brunner vs. City of Arnold, the court considered the City of Arnold’s (City) red light camera ordinance, which provides that the camera shall take a picture of the intersections steady red light, the vehicle proceeding through the red light, and the license plate of that vehicle from the rear. The ordinance specifically prohibits photographs of the vehicles occupants, particularly the driver. The police review the pictures and forward violations to the prosecutor who then decides whether or not to file an information charging the violator with a violation of the ordinance. If the prosecutor files the information the municipal court clerk issues a summons by mailing notice of the violation with the photographs to the owner of the vehicle. The ordinance creates a rebuttable presumption that the owner of the vehicle violated the ordinance based on the picture of the vehicle running the red light. Brunner received a notice of violation and paid a $94.50 fine to avoid further legal action (a warrant for his arrest). What is different about Brunner vs. City of Arnold, from earlier cases is that the court concludes after finding the ordinance conflicts with State law that it is void ab initio, therefore the municipal court had no subject matter jurisdiction. Consequently a person charged with a violation of the Ordinance is not required to challenge the Ordinance before the municipal court but may file a separate action. Since the Ordinance is void a person charged with a violation of the Ordinance has standing to file a petition for a declaratory judgment without having to exhaust administrative remedies. In addition, Brunner – who had already paid his fine – could not recover the fine from the City but may have a claim against ATS for unjust enrichment and could serve as representatives of a class to recover against ATS fines already paid based on the proposition that the City was proceeding illegally when it threatened Brunner. Moore another plaintiff in the case – who had not paid his fine – could serve as a representative for persons who have been charged but have not taken action to pay the fine. Of equal significance the court also found in the Arnold case that the rebuttable presumption that the owner of the vehicle was the driver of the vehicle that ran the red light was invalid because the ordinance was criminal in nature and presumptions that are rebuttal in criminal matters are void and unconstitutional violating due process of law. This was a significant departure from other decisions taking the earlier decision in Damon v. City of Kansas, to another level. Even though your city may not have a red light camera ordinance there are a number of important issues in these cases that have widespread application to local government. Stay tuned as we wait for the next chapter in this ongoing legal saga. 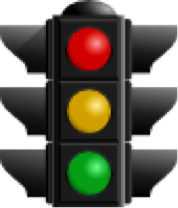 For a discussion of the status of the red light camera cases prior to November 2, 2013 see this Post , which will be updated to reflect ongoing changes in the law. This entry was posted in Law and Policy and tagged ATS, Brunner v. City of Kansas City, City of Arnold, City of Arnold Red Light Cameras, Class action for violation of red light camera ordinance, Dean Wolff, Red light camera cases. Bookmark the permalink.